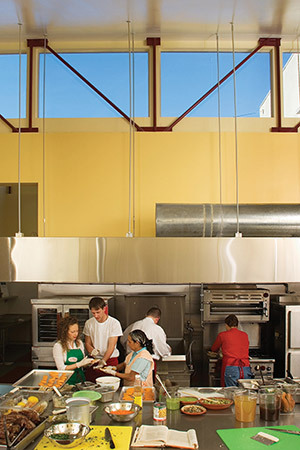 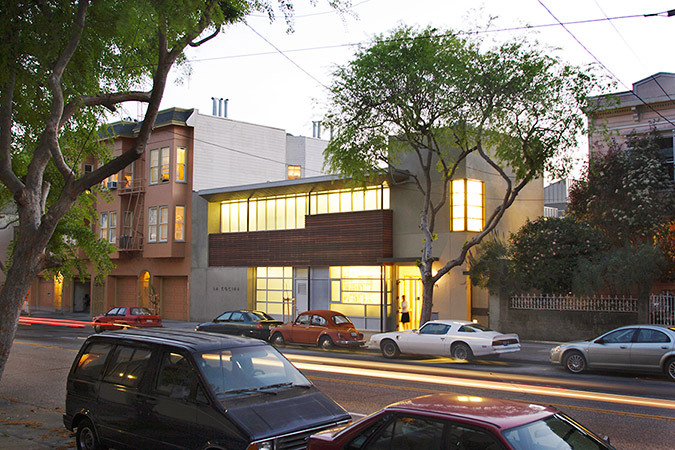 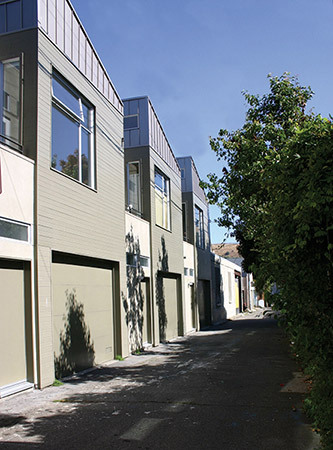 Located within an established residential area of San Francisco’s Mission District, this project is comprised of three residential townhouses organized around a landscaped courtyard and a new commercial “Kitchen Incubator.” The non-profit kitchen incubator is located on Folsom Street and trains low-income women working to develop viable catering businesses. 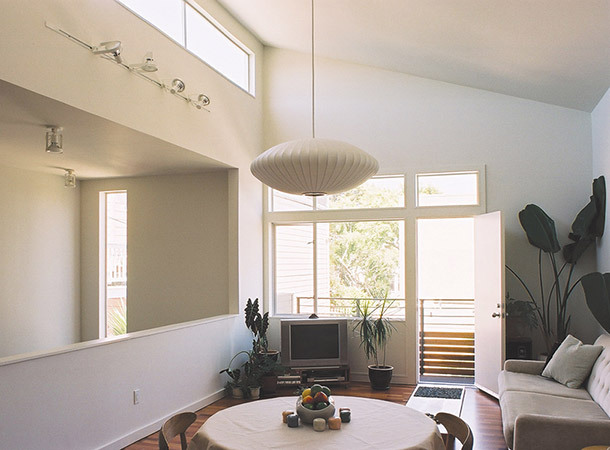 The kitchen facade speaks to the commercially scaled functions within, while relating to the more delicate, residential scale of its surroundings. 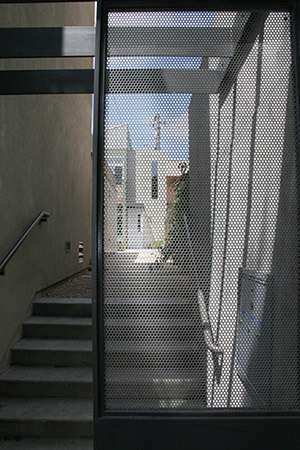 Behind, three townhouses organize around a secure internal courtyard that serves as a shared “front yard” for the units, and connects to Folsom Street via a gated pedestrian path. 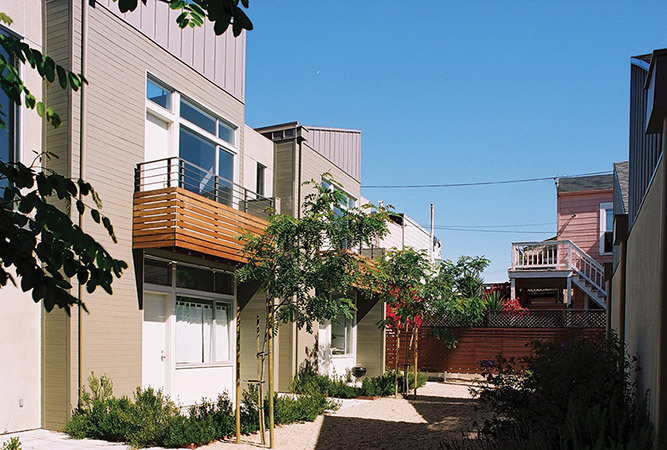 The houses are scaled to the smaller “alley-sized” buildings of the neighborhood. 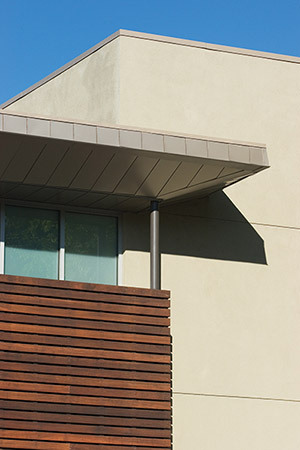 Each provides a garage, study, workspace or second bedroom downstairs, and a main living, dining, kitchen and bedroom upstairs.